The view from my seat: 400 high school students. I love visiting schools. The students are respectful, enthusiastic and curious. 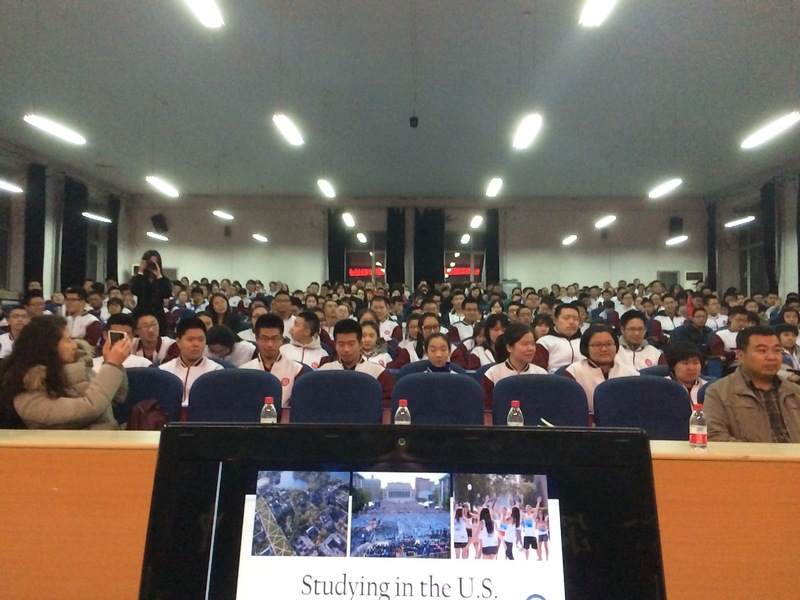 I talk about studying in the U.S., the U.S. college experience, and why they should consider going to college in America. Schools always roll out the red carpet for us. 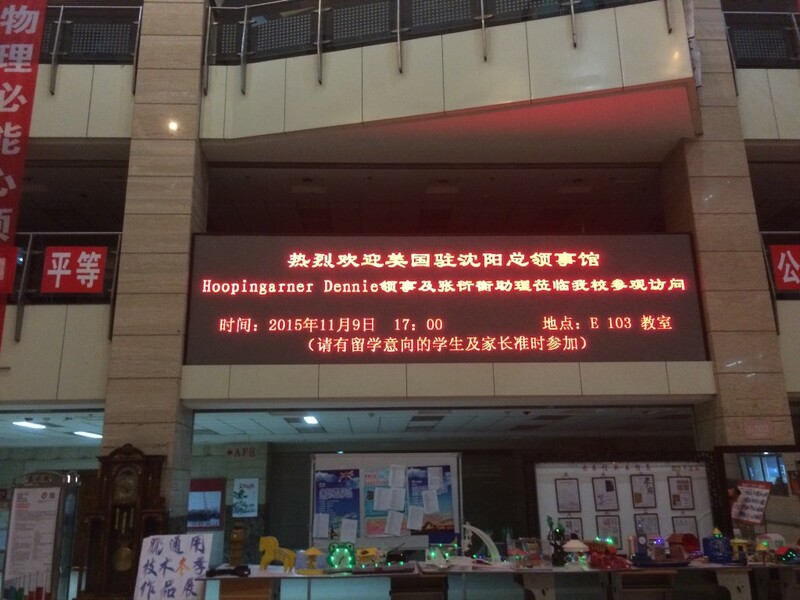 My name written in English, but in the Chinese order: surname, then given name. 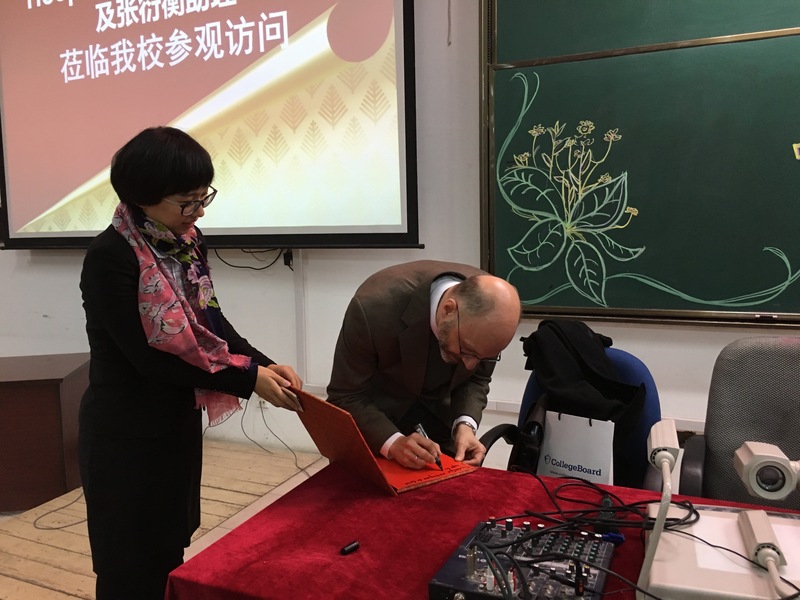 I had the chance to visit two high schools in Harbin. They asked me to sign their school yearbook. “Best wishes,” blah blah blah. Several of the questions were about financial aid and scholarships. I think that might reflect the “new reality” of the Chinese economy: slower growth and less liquidity. 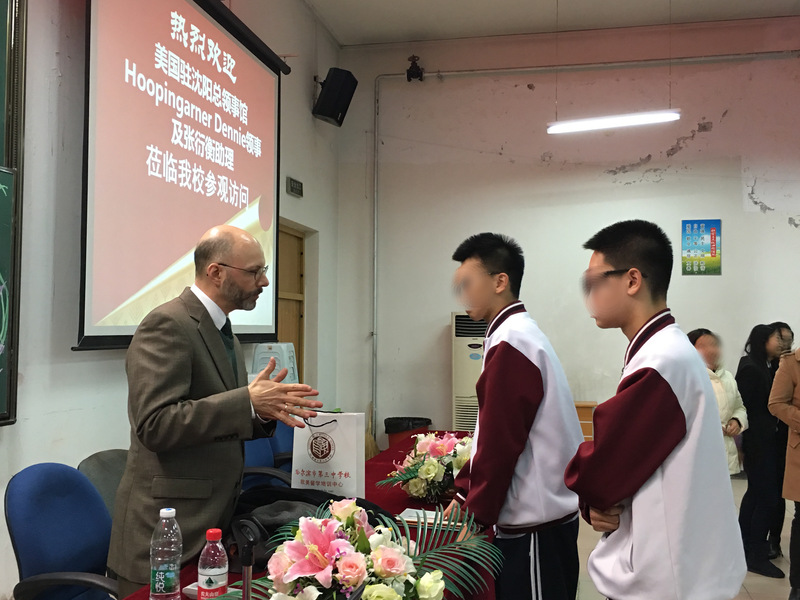 After my talk, a few students came up to me to ask about emigrating to America. The conversation was a little awkward, because I was promoting U.S. higher education, not brain drain. But I tried to answer their questions without encouraging them either way. Dancing around the emigration question.